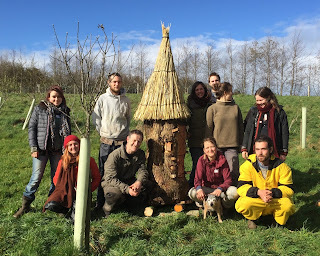 Last Saturday I had the privilege of teaching this lovely group how to make an oak log hive complete with a bio-dynamic rye hackle for their pollinator sanctuary located in an organic small holding. 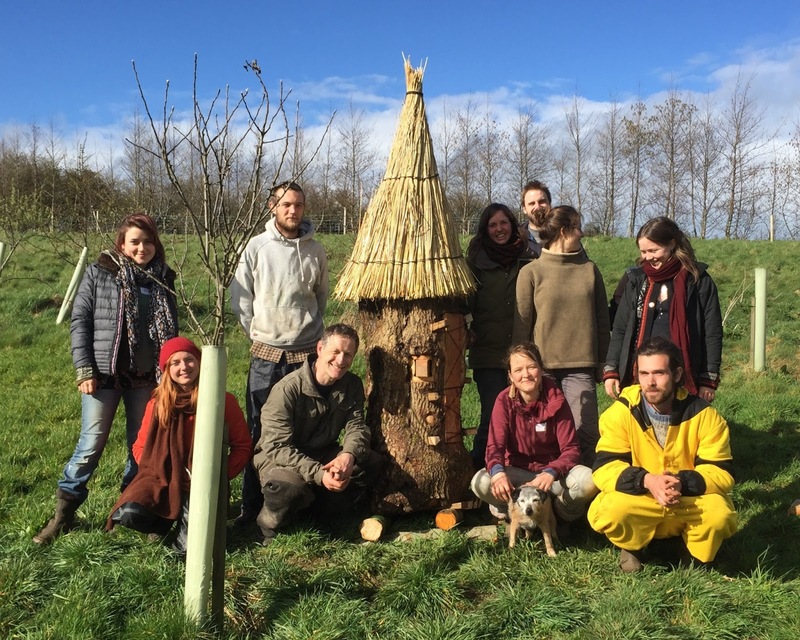 This sort of project really chimes with me: local people getting together, having fun making a hive and a pollinator sanctuary not for honey, but for the bees. The Zeidler (tree beekeeper) of old used to attract bees to their tree hives, they were not artificially introduced. 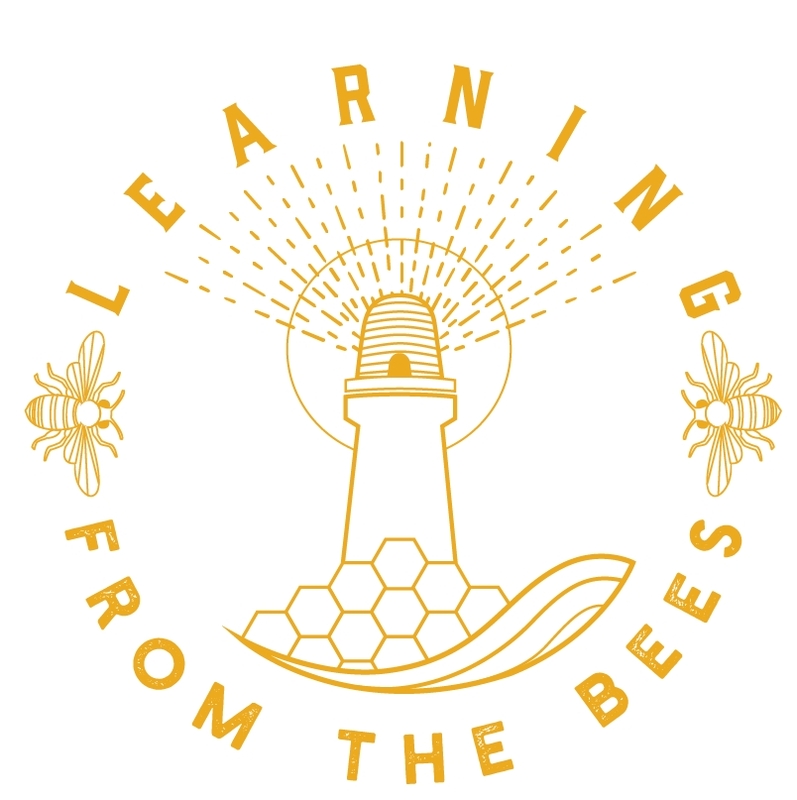 The challenge for the new Zeidler is to not only make a hive attractive to bees, but to find or create a habitat that is sustaining for the bees. 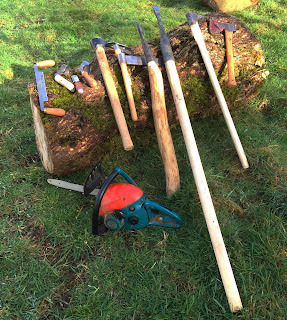 Traditional and not so traditional tools - Sharp tools! Just a week earlier I helped make this monster of a lime log hive at the WestField Farm Tree Beekeeping convention. 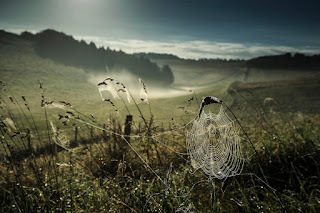 Again a great farm free of toxic chemicals. We tried to make a hackle for this hive also, but it would have needed to be 7ft in circumference and we did not have enough rye for that. All the same I think the bees are going to like this hive and the farm. 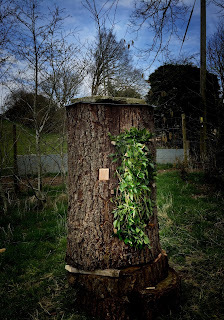 A log hive was also installed in a tree. The next tree beekeeping project will be special. The first true Zeidler hive inside a tree in the UK at Pertwood Organic farm in May. Pertwood in Wiltshire is a home to people, sheep, cattle, abundant wildlife and is one of the oldest organic farms in the UK. It covers 2,000 acres. 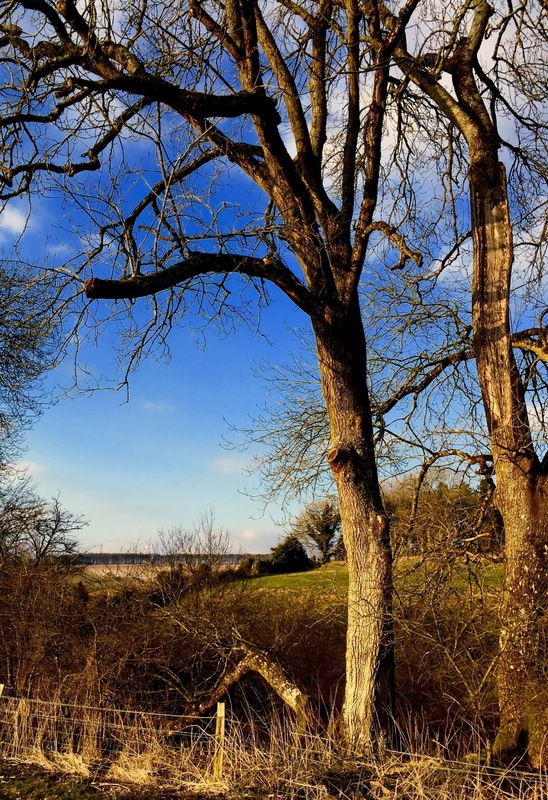 The tree which will have the tree hive sits next to a large wild flower meadow. Working with people to restore habitats for bees gives me great pleasure and hope for the future. Solarbeez - That does sound wet. Our average around here is about 1000mm. I know thatch is used in areas of the UK where rainfall is 2000mm and higher. I'm told these hackles can last 14 years. The last one I made used simple string that rotted and it did not last well. This one uses Marline string (3 PLY TARRED TWINE 301 HEMP), so I'm hoping for many years of service from this hackle. My biggest concern is it getting blown off, so I need to pop back and make sure it is fixed OK.
A pot will be put on the top of the hackle to prevent that from rotting as it will not dry out like the sides. I bevelled the top of the log to allow the hackle to be smaller and fit tighter. This will aid water run off, and a little damp will not matter as there is 20cm of oak between the top of the hive and the bees.